What happens when you disobey God? 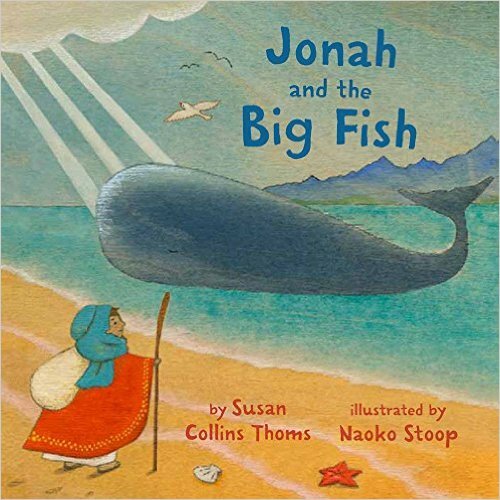 Author Susan Collins Thoms and illustrator Naoko Stoop answer the question in the most inviting, child-friendly retelling of Jonah and the Big Fish ever created. This lush edition of the classic Biblical story captures the tale’s watery world in jewel-toned illustrations by Stoop, who paints her incredible images directly on wood planks—each chosen specifically for its unique character. Perfect for parents and children to share, it makes a beautiful companion to our All Creatures Great and Small and Noah’s Ark. "Thoms and Stoop follow All Creatures Great and Small and Noah’s Ark with a retelling of the biblical story of Jonah, one that takes its scriptural message seriously, but also finds room for a little fun."